Facebook is introducing a few new things today. Let's start with the ubiquitous Like button which you can see plastered atop all websites across the internet. This is receiving a redesign, and it will drop the Facebook logo, believe it or not. The old Like button had that, and the new one doesn't. Instead, it's getting a thumbs up icon, as portrayed by the comparative image below. The social network is also making its Like and Share buttons more mobile-friendly, by giving web developers more button sizes to pick from. Moving on, the company is releasing a couple of Chrome extensions for the first time in its history. Their names are pretty much self-explanatory - one is called Share to Facebook, while the other is Save to Facebook. As you'd expect, by installing the former you'll get an easy way to share interesting links you find online with your Facebook friends, or to a Facebook group, or to a conversation in Facebook Messenger. 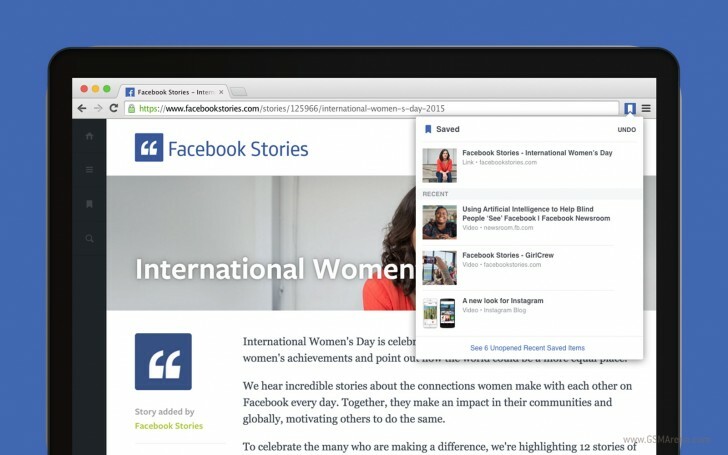 The Save to Facebook extension provides a way to quickly save any link for future reading, and it's part of the Save feature that the company launched in 2014 as its competitor for Pocket and other similar read-it-later services. Its human nature folks. Whenever there is a change no body likes it initially but afterwards everyone admire it and its always better in long term. Mark my words new design is better than old one. Its simple and brain likes it. Why fix something that isn't broken? I think that the old like button is much better and clearer.